The company hasn't been verified! 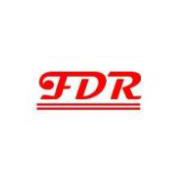 Founded in 2009, is located in Dalian, at present the company mainly engaged in metal products and bentonite, metal products casting parts, bearings, valves, pumps, automobile brakes, machine parts, tools, welding materials, motor, etc. Products. Can be finished to map a variety of wholesale and custom processing. Bearing: Spherical plain bearings, spherical roller bearings, Angular contact ball bearings spherical roller thrust bearings, Taperd Roller Bearings Deep Groove Ball bearings, Slewing bearings, Four-Row Cytindrical Roller Bearings, CARB, full complement Tapered Roller Thrust Bearings, Cylindrical Roller Bearings, Non standard bearings.